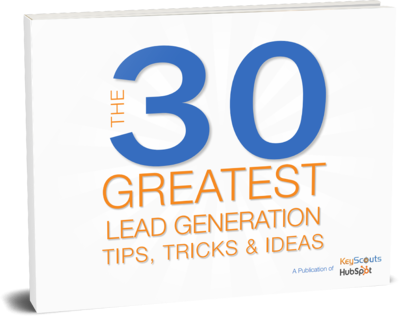 Download Our eBook "The 30 Greatest Lead Generation Tips, Tricks & Ideas"
Attract qualified leads to your site! Get more leads. Get better leads. Download the free ebook, today. Get access to all the advice you will ever need about getting more B2B leads. "The 30 Greatest Lead Generation Tips, Tricks & Ideas" will answer all of your questions about how to create and implement a successful B2B lead generation strategy that gets results. Get your free ebook by filling out the form on the right, and start generating more leads today! Fill out this form to get your free ebook!